Wicket keeper Tim Seifert scored a brilliant 84 as New Zealand crushed India by 80 runs in the first T20 International at Westpac Stadium on Wednesday. The visitors had two new faces in the form of Rishabh Pant and Krunal Pandya while the home side bought in debutant Daryl Mitchell, Scott Kuggeleijn and wicket keeper Seifert as both teams rejigged their lineups from the just concluded ODI series. Indian skipper Rohit Sharma won the the toss and electing to field, but his decision backfired as the Kiwi opening pair of Seifert and Colin Munro got their team off to a fantastic start. The duo added 86 runs in eight overs before Krunal got the vital breakthrough by getting Munro caught at long on for 34 by Vijay Shankar. The 24 year old Seifert took the Indian attack to the cleaners by smashing 84 runs of 43 balls before being bowled by Khaleel Ahmed. His knock comprised of seven fours and six sixes. 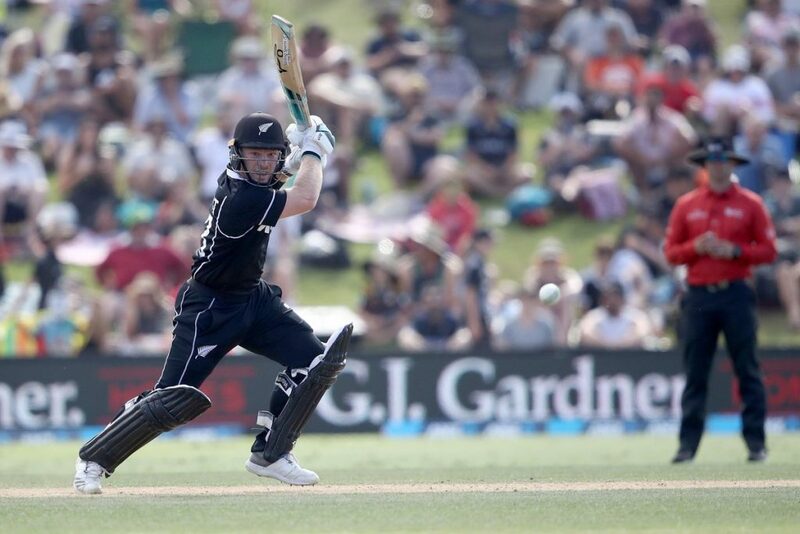 The pair of Kane Williamson and Daryl Mitchell added 30 runs for the third wicket before Mitchell, the son of former All Black coach John, was caught brilliantly at the boundary by Dinesh Karthik off Hardik Pandya. Karthik dropped two easier catches in the game, but caught the most difficult one that went to him! In the very next over Yuzvendra Chahal claimed the wicket of Black Caps skipper Williamson for a well made 34. In the quest for quick runs, both Ross Taylor and Colin De Grandhomme fell soon afterwards, dismissed by Bhuvneshwar Kumar and Hardik respectively. A superb late cameo from Scott Kuggeleijn, who scored 20 off 7 balls, ensured that the home side comfortably crossed the 200 run mark. In the end they posted 219 for six in their allotted 20 overs. We had predicted an India win on Nostragramus, but 220 was always going to be a tough ask for a side sans Kohli, and it was eventually 80 runs too much as the visitors slumped to a record defeat. India suffered an early jolt in their chase when they lost Rohit Sharma for just 1, with the returning Tim Southee claiming the skipper’s scalp. Vijay Shankar, promoted to No 3 provided support to Shikhar Dhawan as they added 33 runs for the second wicket, before the latter was bowled by a brilliant Lockie Ferguson yorker. Spin then derailed India’s chase, with Mitch Santner and Ish Sodhi wrecking the middle order. Santner claimed the wickets of Pant and Shankar in quick succession while Sodhi accounted for both Karthik and Hardik Pandya as the visitors slumped to 77/6. Krunal Pandya along with Mahendra Singh Dhoni delayed the inevitable by adding 52 runs for the seventh wicket, before the latter fell to Tim Southee. Dhoni top-scored for India with 39 runs off 31 balls before being dismissed in the 19th over. The Men in Blue were eventually bowled out for 139 runs in 19.2 overs. Southee was New Zealand’s most successful bowler as he claimed 3/17 in his allotted 4 overs, while Santner and leg-spinner Sodhi bagged 2 wickets each. The 24 year old Seifert was declared the player of the match for his outstanding performance with the bat. The second T-20 international will be played at Auckland on Friday.